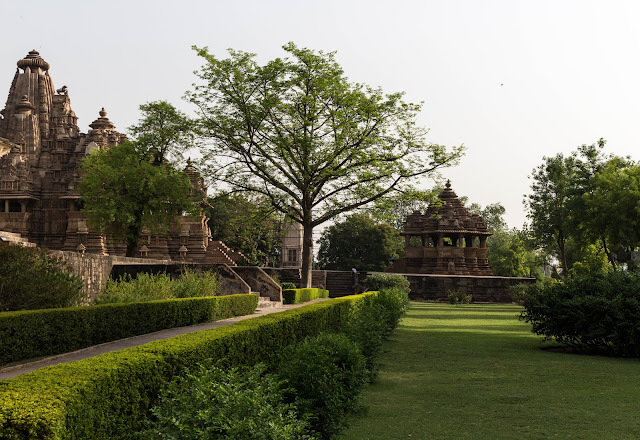 There's something peaceful and serene about being in the temple complex at Khajuraho. The beautiful lawns, even in the scorching heat of summer, and the sense of meditative peacefulness brought us back to our trip to Angkor Wat in Cambodia. Khajuraho is a town located in Madhya Pradesh. The state of Madhya Pradesh is filled with beautiful landscapes, amazing countryside and gracious people. 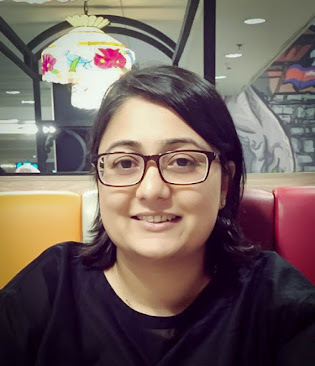 If possible, it is worth driving from Bhopal, the capital city in Madhya Pradesh to Khajuraho. 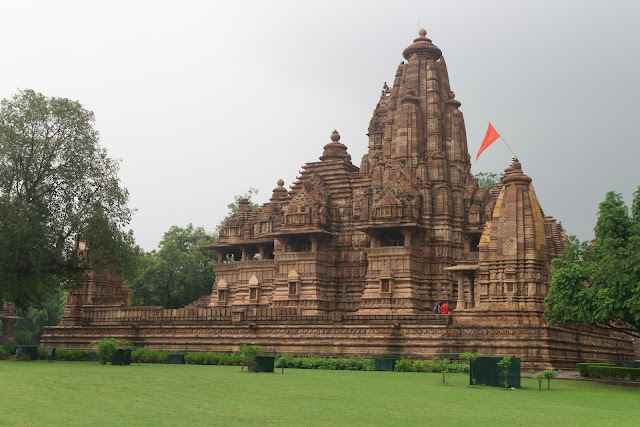 Alternatively, Khajuraho town is reachable by flight or train as well. Khajuraho temples are a group of Hindu and Jain temples built in AD 950 and 1050 and are a part of the UNESCO heritage sites. The temples are known for their portrayal of provocative and sexually depicted carvings. They are also loosely tied to the Kamasutra arts. It is best to get a guide while you explore the site as they will explain the significance of the place and the history behind the temples. There is a light and sound show every night as well, which is pretty average but it does the job of explaining the brief history behind the temples. Khajuraho dance festival is held yearly in February and while we haven't visited during that time, we have heard that it is worth a visit if you happen to plan a trip during that month. 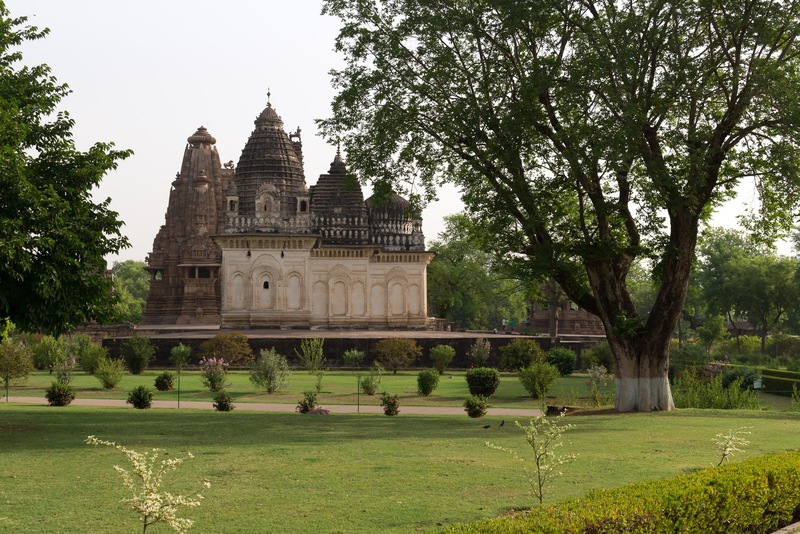 While in Khajuraho, we stayed at the Radisson and found it to be a great option. We would highly recommend staying here while you are in town. 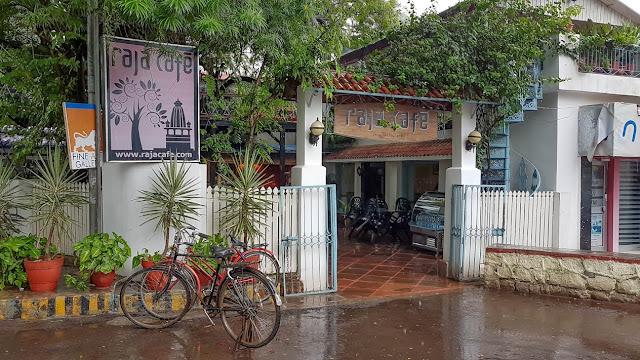 If you're feeling hungry, food at the Raja Cafe located across the temple complex is a good place to try. Clean food and they serve alcohol too if you're planning to unwind after a long day walking around. The top floor has great views of the temples. There is a sense of serenity with the place as you sit under large branches extending outwards overhead. 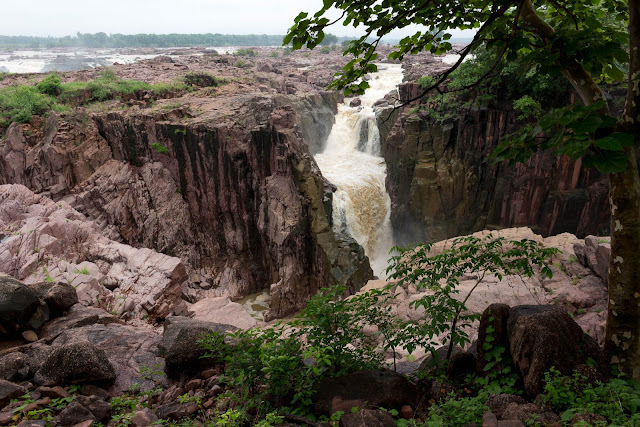 Raneh Falls: The Radisson hotel provides trips to go visit the falls or if you are driving, they are pretty easy to locate with the help of google maps. We spent one night in Khajuraho as we were passing through. 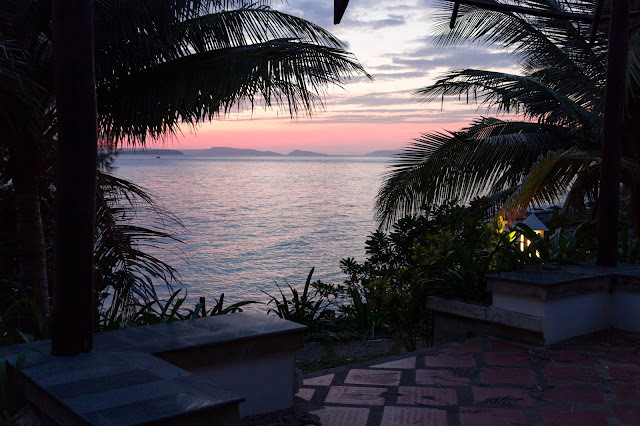 I felt that we should have stayed another night. We could have done with another trip to the temples to fully appreciate them and the quaint town. Don't forget to pick up artwork while you are here. The local Gond artwork can be quite pretty and it is a great way to remember your trip in Madhya Pradesh.